I have to be honest with you guys. I’m not really a big Halloween girl. I’m just not that into creepy, crawly things, (except the Walking Dead) and I can’t eat candy, so really… what’s the point? But I LOVED this wreath from Tried and True. Vanessa is so incredibly creative! 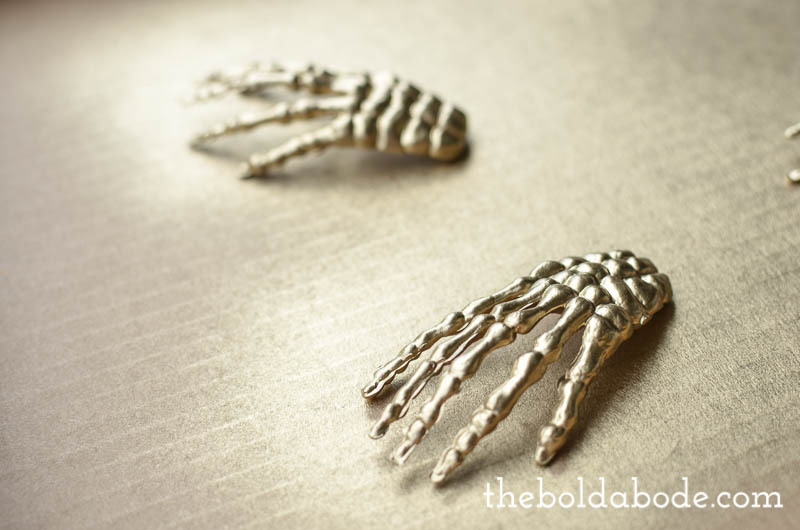 And when I spotted these little, tiny skeleton hands in the craft store, I thought I might be able to give it a little go with a Halloween craft., a Gold Skeleton Fingers Necklace. Seriously. I’m all about the bling. How cute is that? 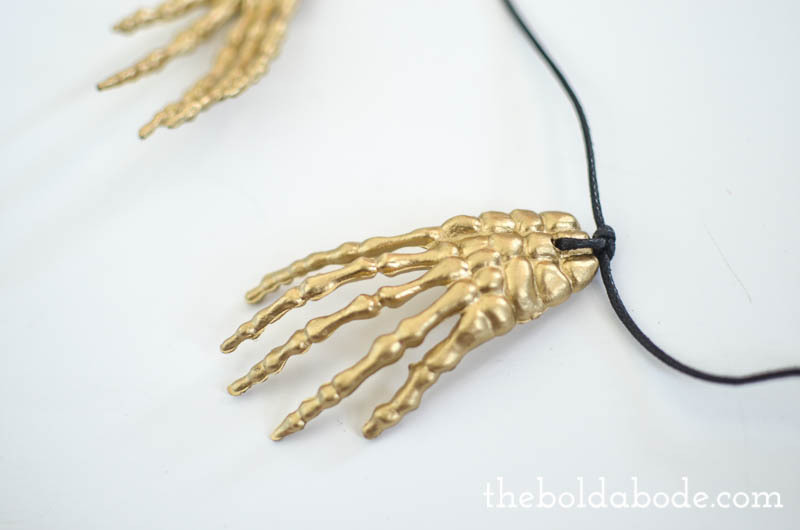 To make this necklace, you just need some small, plastic skeleton hands, some black cording, some gold spray paint and a drill. 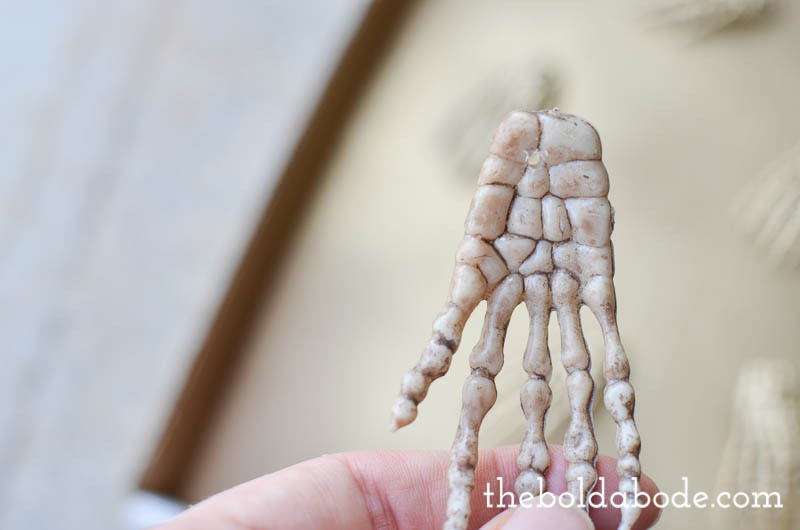 First, drill a small hole in the hand. Then spray paint both sides. 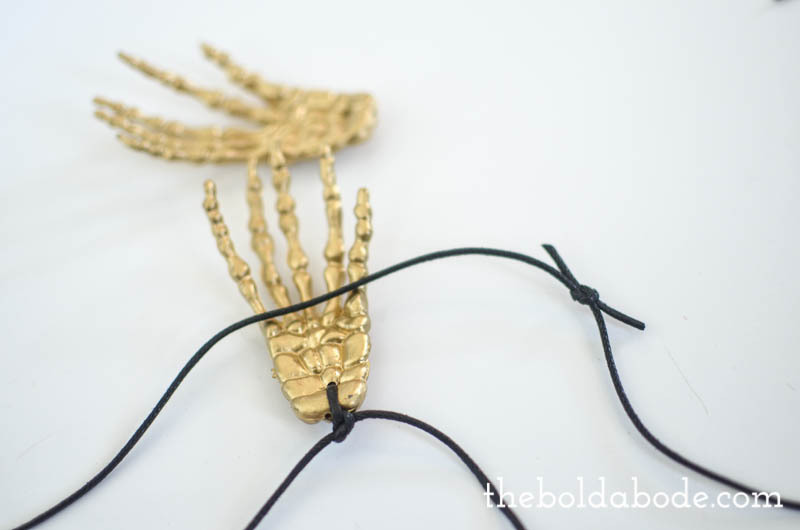 Measure a piece of cording to fit the desired length of your necklace. 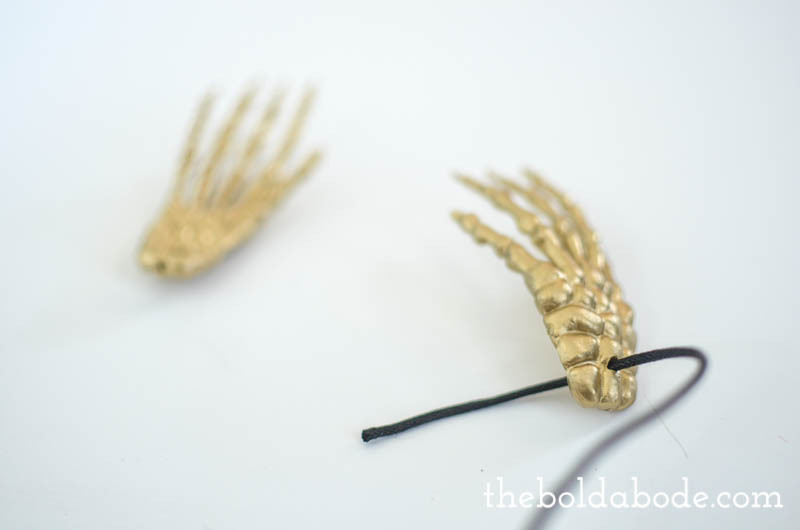 I like mine long, but a choker would be cute, too. Thread your cording through the hole you drilled. Then tie a square knot. Then tie another square knot with the ends of the cording. That’s it. 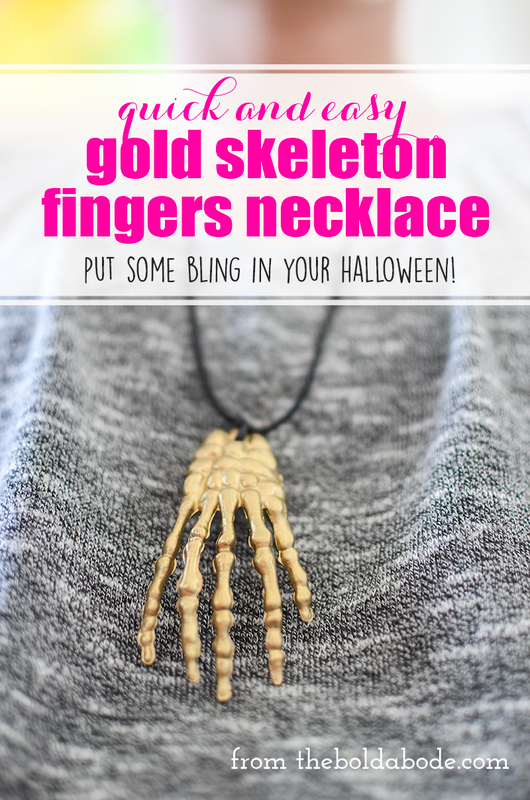 Now you have some bling for your Halloween! 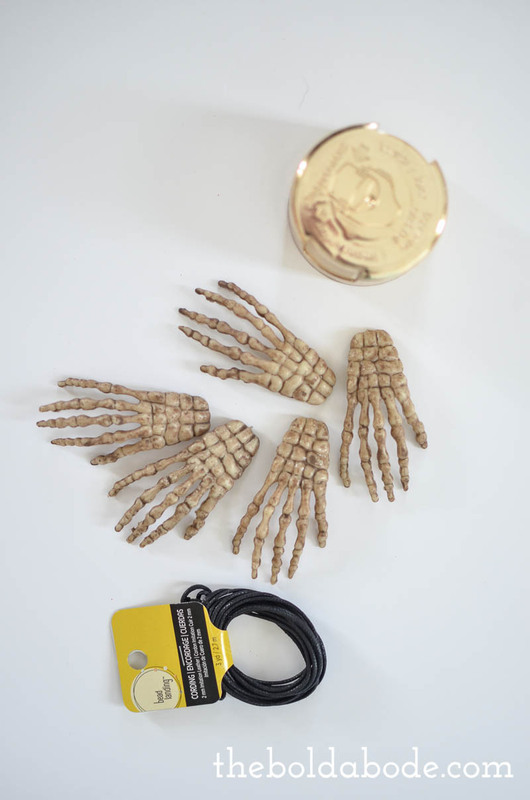 A super simple way to incorporate just a little Halloween into your life. 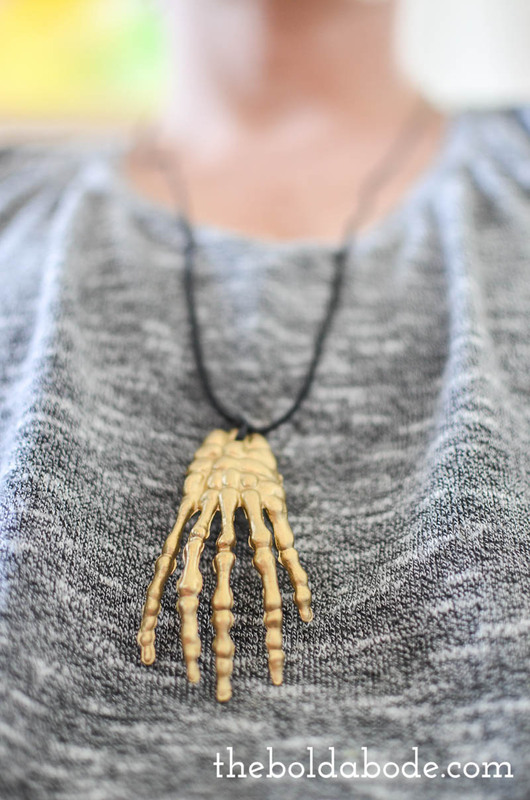 Are you big into Halloween?